if not for growing number of tourists flying in and out in recent years. It is sandwiched in between the Himalaya range and the Karakoram range – where the world’s highest mountains are. Politically, India claim Leh to be the capital of its Ladakh region and today, it is a town with a heavy Indian military presence as it’s also near to the Chinese border. But 80 percent of Leh’s residents are Buddhist and ethnically Tibetan. 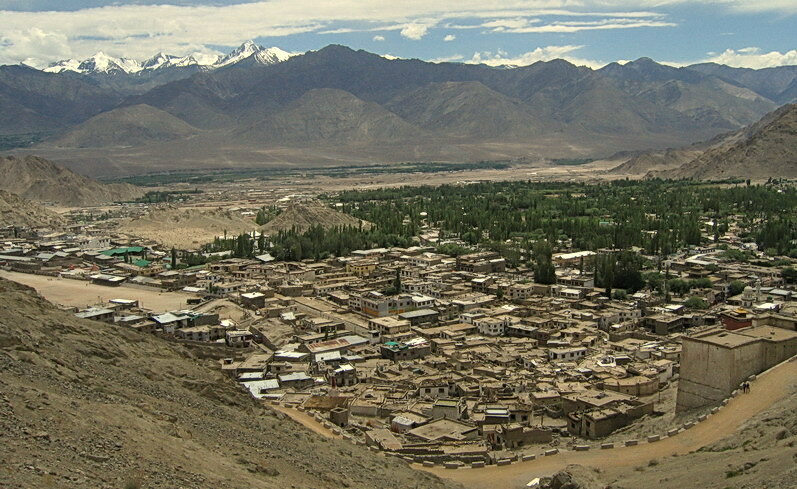 The photo above gives an aerial view of Leh, as seen from the Leh Palace – a nine story 17th century construction which dominates the town.